Police detained fraud suspects who illegally bought personal identity information to hack people's accounts and spend their money. Police are prepared to raid a house where some suspects were located. SWAT teams took part in operations to catch the suspects. 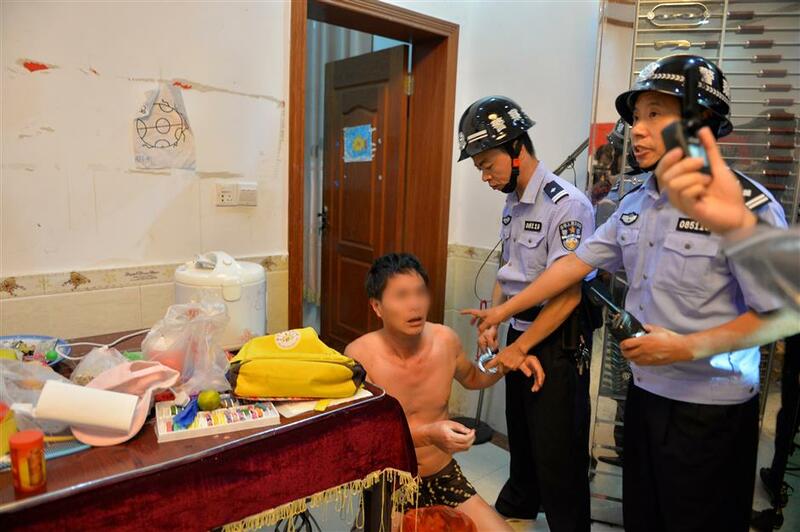 Over 10 suspects have been arrested for allegedly using other people's bank cards to withdraw money or make purchase online, Shanghai police said yesterday. The suspects allegedly paid illegal sources for people's identity information and hacked into websites enabling online payment from their accounts. They managed to illegally obtain more than 300 credit and debit card passwords, spending over 3 million yuan (US$467,000) from others' accounts, police said. Investigation first started last May when a third party payment service provider based in Shanghai, whose name the police declined to reveal, reported suspicious use of bank cards through the company. Police found that in March and April, a few online payment service providers and shopping websites were attacked by a software which can guess or identify users' passwords. 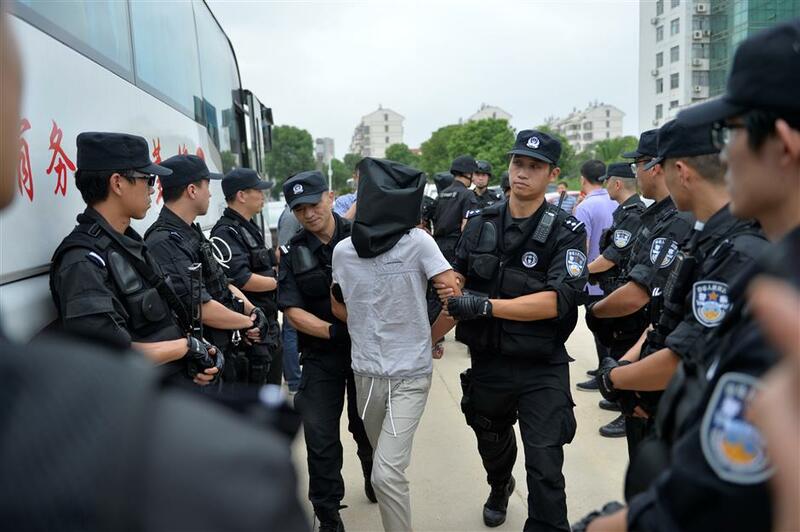 "Illegally acquired ID card, bank card and mobile phone numbers were thrown into the software for it to try at those websites," said Xu Qin, an official of Shanghai criminal police who specializes in financial fraud. "While some websites are better prepared for such attacks, others proved to be quite vulnerable," he said. Once the passwords are breached, the suspects logged onto third party payment service websites with the stolen data and purchased mobile phones, prepaid cards or tickets to tourist sites to sell them to others for a discount, police said. The suspects also bought POS machines illegally and stole money from the bank cards by scanning the QR codes, police added. "Theoretically POS machines are only issued to businesses, but irregularities are quite rampant, so individuals can buy them with fake documents," Xu said. Some businesses were also found to assist the suspects by offering their own POS machines, police said, adding those businesses will also be punished by law. 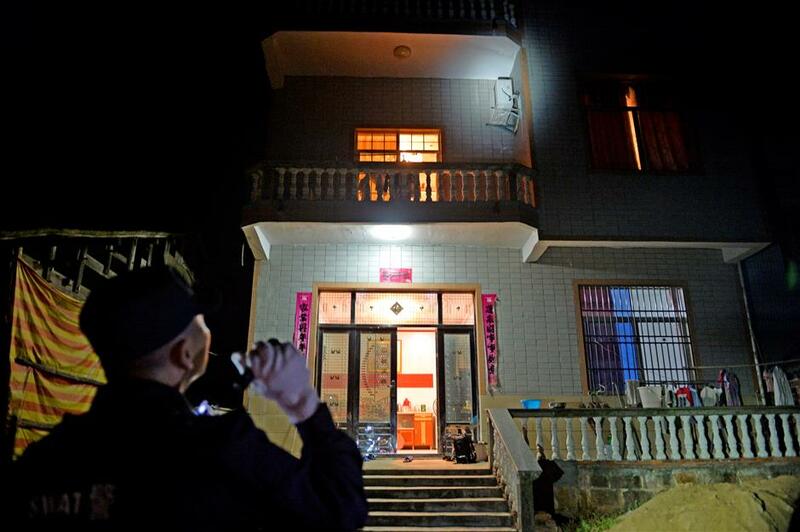 The suspects were rounded up in Jiangxi, Hunan, Sichuan, Henan, Jiangsu and Zhejiang provinces last October. Police discovered more than 120 mobile phones, computers and POS machines as well as about 100 bank cards during raids on suspects' properties.